The lovely pastel shades of these luminescent baroque pearls add a 'springtime' flair in any season. 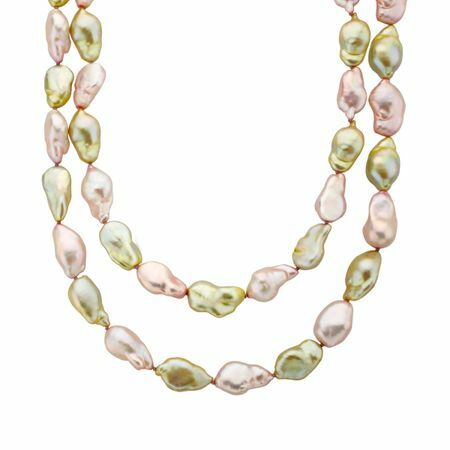 Measuring 36-inch and featuring luxurious 11-14mm freshwater pearls finished with a sterling silver clasp, the strand can be worn as a single 'opera' style strand, or doubled to create a shorter two-strand look. Piece measures 36 inches in length.